There are two life events that I think are worth noting though. 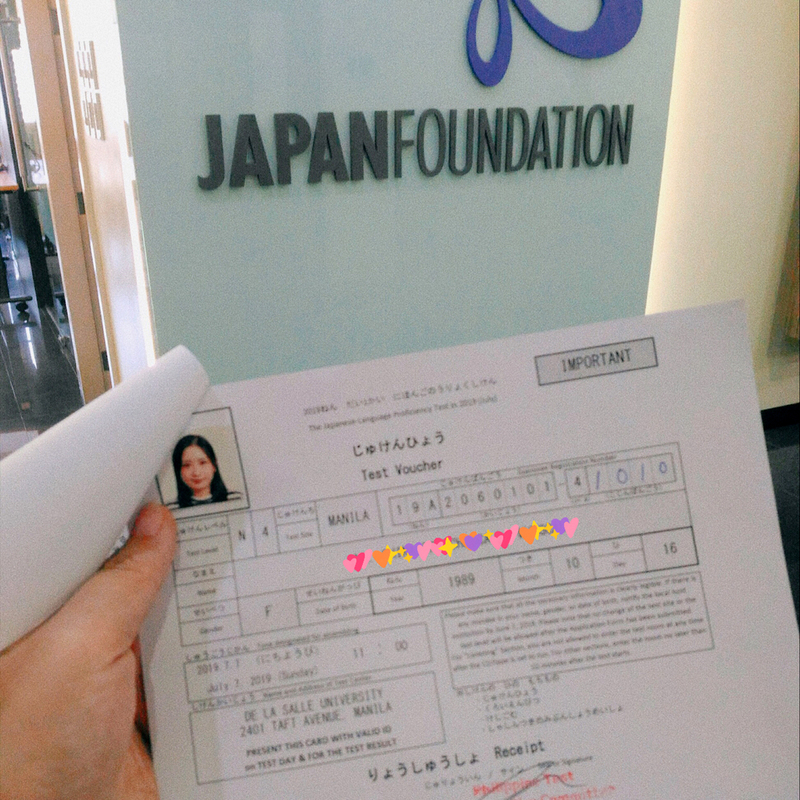 One—I managed to register for the JLPT again this year. This is for the N4 exam in July. I'm hoping to do better this time than I did last year, but just in case I fail again, I plan on re-taking it in December. And two—I decided to bring back my photography portfolio on Tumblr. I understand Tumblr's not exactly the ideal place to upload photos these days, but I didn't want to go back to deviantArt or Flickr. Plus, Tumblr is free and more customizable than most sites. I don't have any new photos though, but I'm slowly re-uploading (and re-editing) my old photos. I'm hoping I can go back to shooting this year though. If I could do at least one shoot with friends, that would be great. I'm super rusty with photography, but seeing good photoshoots always makes me miss it. I'd like to do it again sometime. These days I've been liking this shounen manga a lot. 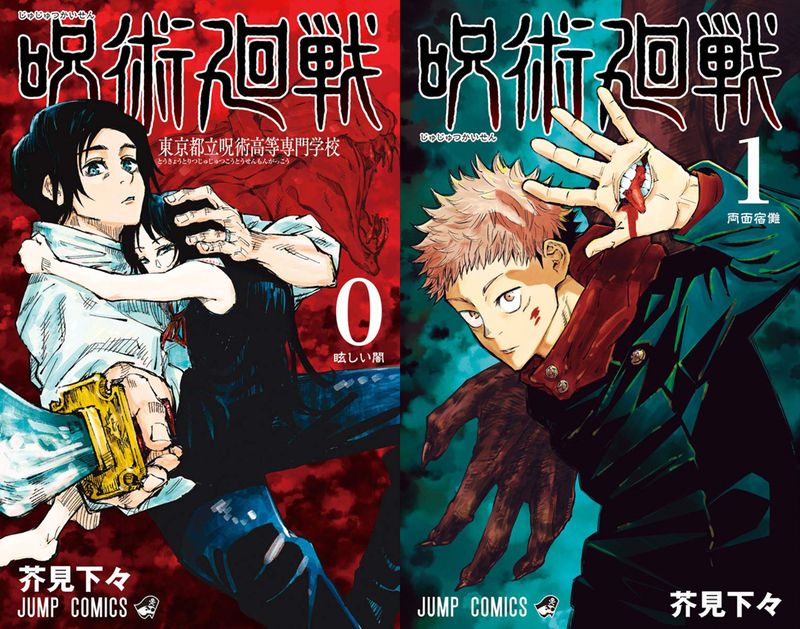 The title is Jujutsu Kaisen, and it's a fairly new serialization under Shounen Jump. It's about students who attend a magical school to study curses and cursed spirits. Because it's under shounen jump, you can expect the usual stuff like fighting bad guys and such. I haven't liked any new Shounen Jump manga in a while (I usually prefer series under their SQ. wing), so I'm pleasantly surprised at myself for looking forward to a new chapter every week. It's very interesting. The overall quality isn't super good compared to other existing shounen manga—you can tell from the way the mangaka draws fight scenes—but the story as a whole really reels you in. The characters are all very interesting (and funny!) as well. As someone who loves anything with spirits and such, I liked it a lot. The prequel, Tokyo Metropolitan Magic Technical School, is pretty good as well. I have to thank my younger brother for recommending it to me. Mononogatari is a manga that focuses on tsukumogami. In Japanese folklore, it was believed that regular household objects or tools would come to life after 100 years of existence. They become tsukumogami, tools that have acquired a 'kami' or spirit. In the manga, tsukumogami refers to spirits which have possessed objects of considerable age and gained a physical, human-like form. The story focuses on the protagonist who is a member of a clan charged with dealing with these tsukumogami. You can tell from the premise alone why I liked it. More than the story itself, my favorite thing about Mononogatari is how the tsukumogami are depicted. I like how the mangaka designed the characters to look like the tools they're possessing. Blue Period, on the other hand, is a slice of life series (although it's listed as seinen) that shows the life of Yataro Yaguchi, who suddenly finally finds a calling in art in his second to last year of high school. There's not a lot of action in this manga (by action, I mean compared to series like 3-gatsu no Lion, not Naruto ok), but the characters, the character designs, and the story itself is fascinating. There's A LOT of art-related jargon being explained at various points in the manga, so it might seem a little dull at times, but the manga is great as a whole. Mr. Villain's Day Off (Kyuujitsu no Warumono-san) in my eyes, is a great mix of fantasy and slice of life. The series was first released on PIXIV Comic, and the first volume's also gotten a tankoubon. The story focuses on an unnamed general of an evil organization whose aim is to annihilate humankind, and what he does during his days off. It's VERY CUTE AND SUPER FLUFFY. I really like the contrast between how the general looks and what he does in the manga. The character design is also right up my alley (very........BL-like), so I enjoyed it a lot. This is just some of the stuff I've been reading! I've also been reading a lot of BL on the side, all while waiting for Kemono Jihen to update (or picked up by Viz so I can buy the physical copies). Aian and I watch shows while we eat our meals, so you can imagine how many movies and series we've gone through since January. We usually watch anime, but for a short time we got into watching other stuff on Netflix. We watched The Haunting of Hill House in January. I'm a scaredy-cat and hate scary things but somehow I always get dragged into watching these shows. After we finished Hill House, Aian was left wanting to watch more horror, so we ended up watching The Shining and Suspiria that same month. Suspiria was good! Slightly traumatizing (I had to look away for one /particularly/ gruesome scene), but it was a good movie! It's quite gory though. There's A LOT of blood. The main reason I liked it was because of how they portrayed the ~witchy~ aspect of things. Also Tilda Swinton was in it, so Aian and I both liked it a lot. 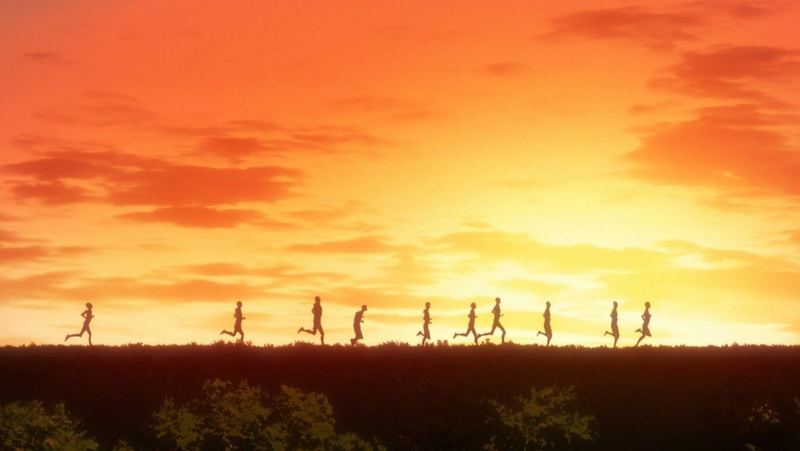 For anime, we mostly only watched Winter 2018 series and some Fall 2018 leftovers: Yakusoku no Neverland, Mob Psycho II, Doukyonin wa Hiza, Tokidoki, Atama no Ue., Kaze ga Tsuyoku Fuiteiru, JoJo: Vento Aureo. I quite enjoyed all of these series, I'm happy we got really good anime this season. There wasn't much to watch from the season before this, so we had to look for other stuff to watch. This season's lineup was pretty solid. With the exception of Vento Aureo, all of these series are finished so now we're looking forward to watching all the new Spring 2019 anime! We also watched Hi Score Girl, Princess Principal, and both seasons of Hibike! Euphonium. These are all very good series as well! My favorite from the bunch has to be Hibike! Euphonium though. I'm not familiar with wind instruments, so watching a series about it was very eye-opening. Aian and I liked it so much that we also watched Liz and the Blue Bird, which is a spin-off of the main series. It was SO PRETTY. I didn't like the movie's story as much as I liked the story for the main series, but I'd recommend it even for the visuals alone. The movie's director is Naoko Yamada, who directed the A Silent Voice movie. She also directed one of my all-time favorite KyoAni series, Tamako Market. 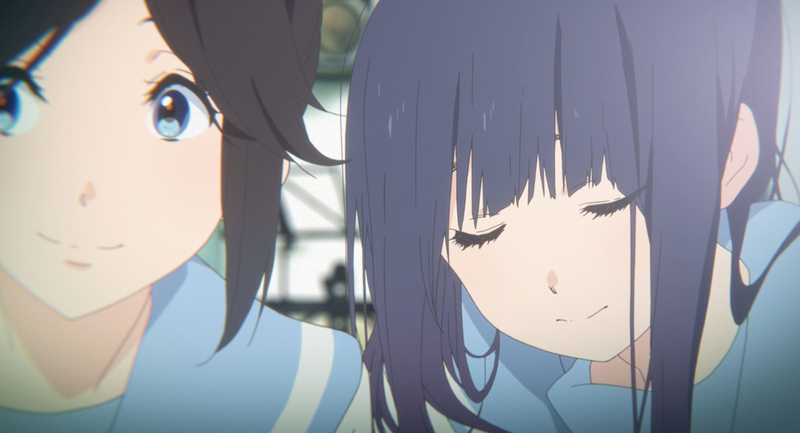 This director is really good at taking mundane moments and making them look beautiful, and Liz and the Blue Bird is full of that. Aian and I haven't seen A Silent Voice yet, but I'm excited to watch it now. 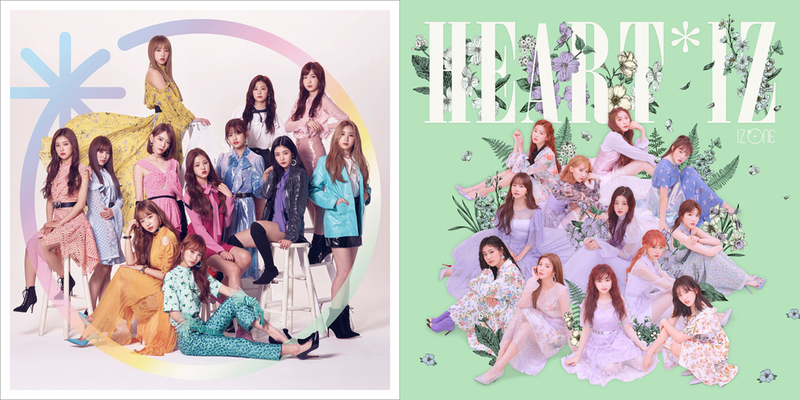 This probably comes as no surprise, but about 70% of the time I've only been looping songs from Suki to Iwasetai and HEART*IZ by IZ*ONE. It's funny because I have almost all of their songs on my K-pop loop playlist. Even the Japanese ones, hah. (It's a good thing Spotify finally made a This Is playlist for them, which makes things easier.) I didn't think I'd be /this/ into another Kpop group after all this time, but here we are. And as much as I hated how Mnet handled things, I have only Produce48 to thank for it. I not only found another group to love, but it's given me a whole new perspective on the 48G as a whole. I've even started getting into MNL48 recently! It's funny. Who would have thought that the thing that would get me into 48G would be Kpop, of all things? I've also been listening to Baek Yerin a lot these days. I love all the songs on her Our Love Is Great album a lot, but my favorite songs of hers are the ones that aren't on her albums: Square, an unreleased song, and La La La Love Song, a Kubota Toshinobu cover. When I feel like listening to something else, I listen to Yorushika, these two songs by ewe / Yoh Kamiyama, or these lo-fi study playlists by 130mood. I suppose this was to be expected since I watch a lot of slow living vlogs, but Youtube recently suggested these videos for me to check out as well: cafe vlogs! They're pretty much the same, but with the focus being cafe work. South Korea really loves their cafes, so I guess it was only a matter of time until people vlogged about them. I initially thought it would be mostly about how drinks are made, but it's not just that. I like the little scenes in between when they clean the equipment or move the coffee beans from one container to another. It's very interesting to me! The one above is by Lumi. If you look up "cafe vlog" on Youtube, her video is the very first one. There's also a few good ones that come up, but Lumi's channel is my favorite one so far. 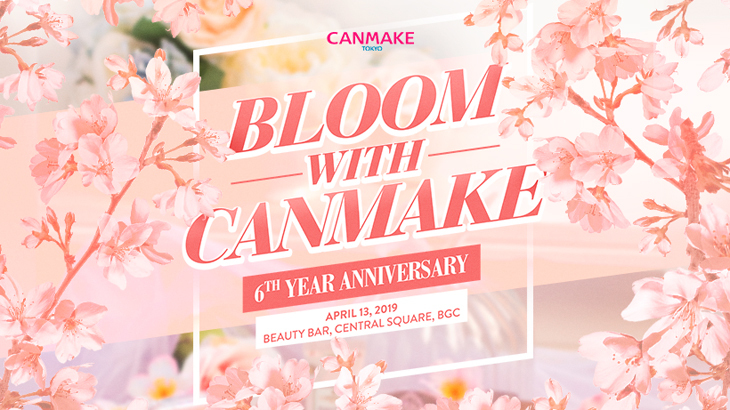 Tomorrow's Canmake Philippines event! I can't believe it's been six whole years since Canmake came to the country. Tomorrow we'll be celebrating their 6th year anniversary at Beauty Bar BGC! Sign ups for goodie bags are closed, but the event is free to the public! If you're in the area, drop on by for some make up, tea, and snacks! Hope I see you there!